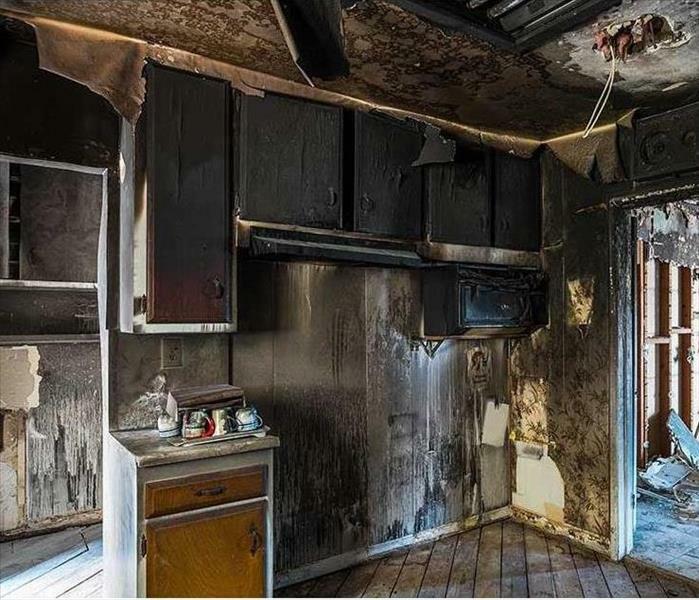 SERVPRO of Clovis is the only choice when it comes to fire damage repair. Our team of professionals are ready 24/7, locally owned and operated, and Faster to Any Size Disaster. 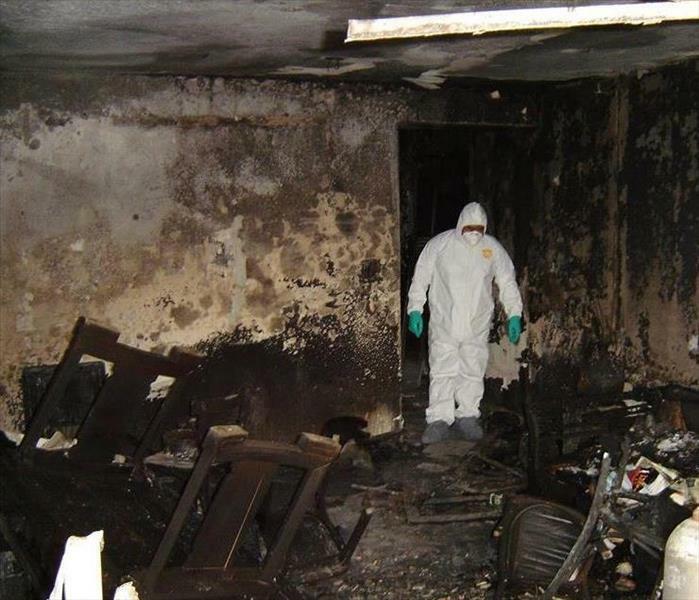 We have the experience, training, and equipment to restore your home to pre-damage condition. Give us a call today at (559) 297-3429. SERVPRO is faster to any size disaster! Our team's fast response time will diminish the damage, limit further impairment, and reduce your remediation cost. 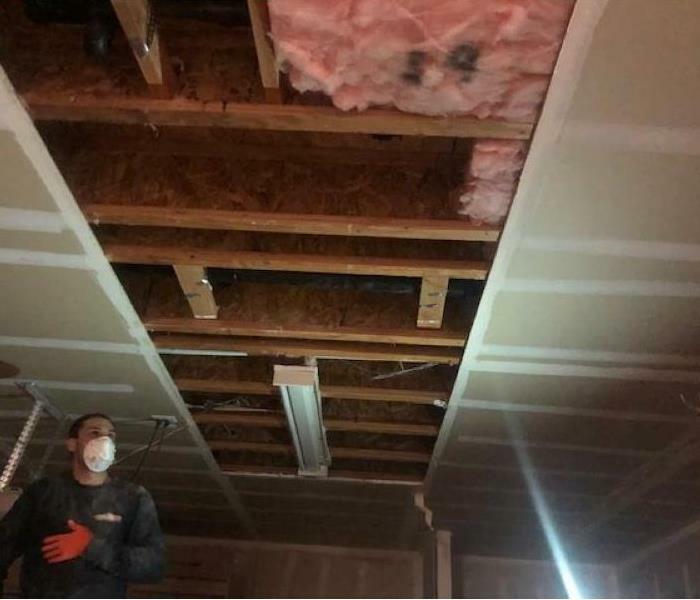 SERVPRO of Clovis has the advanced equipment, specialized training, and experience to restore your home to pre-damage condition. SERVPRO is always ready to help our neighbors with restoring their homes back to the way it was. 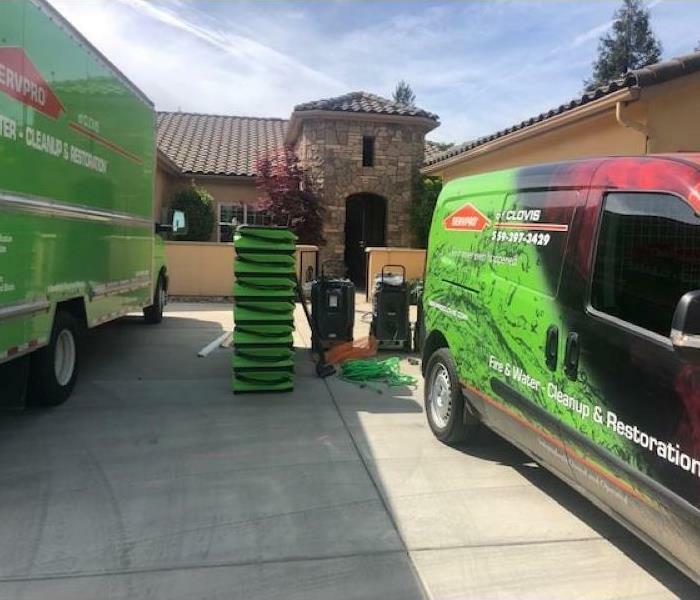 SERVPRO of Clovis arrived to a Kingsburg home to help a State Farm customer with a water loss. A toilet supply line in the home caused damage to a wall in the hallway, bathroom, bedroom and master bedroom. Our Green Cargo Van and truck transported the skilled technicians, equipment, and products to make our customer feel "Like it never even happened." 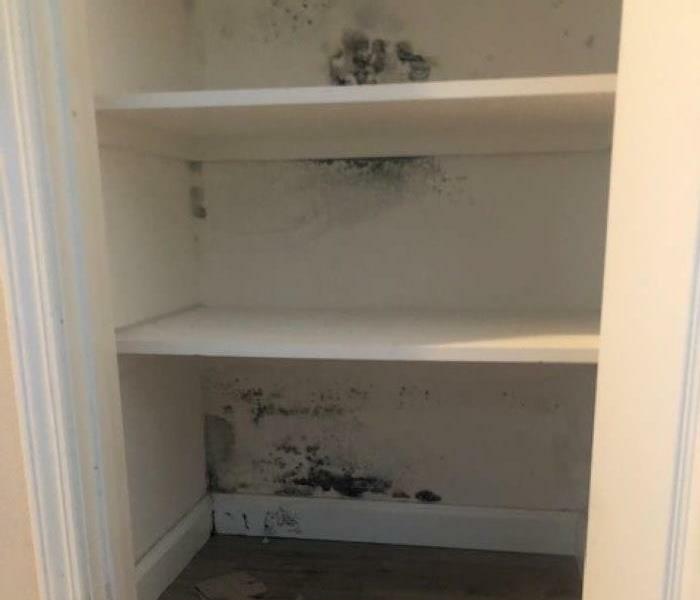 This closet was the result of a mold damage in home in Fresno, CA. There was a significant amount of mold on the walls and baseboards. SERVPRO has the best mold remediation specialist in the industry and they are IICRC certified. 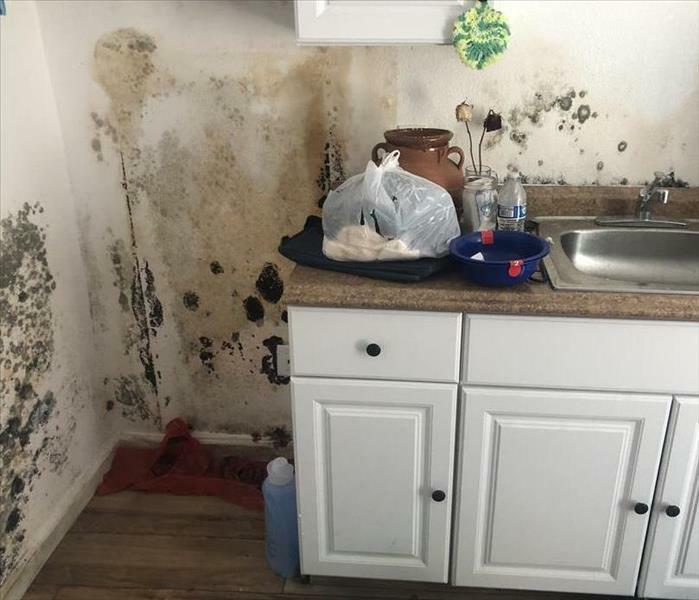 Our team can handle any size mold infestation and restore your home back to pre-damaged conditions. 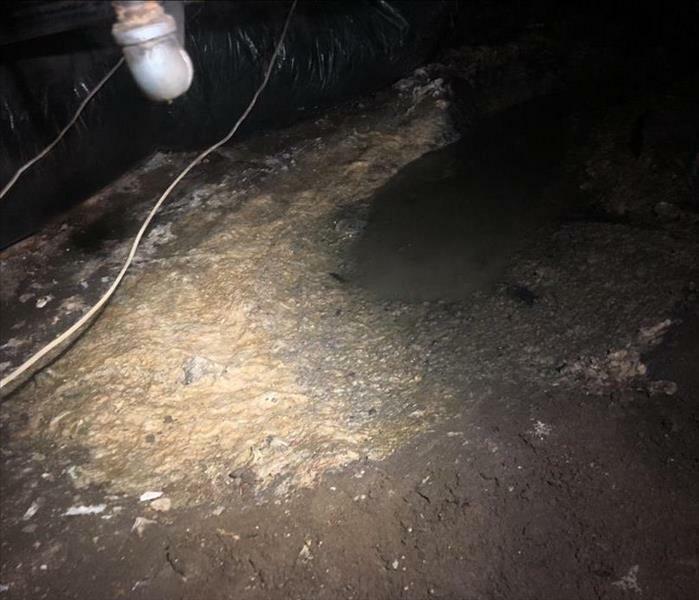 This flooded crawl space was the after math of a pipe burst. SERVPRO techs can remove the water swiftly to mitigate damage to the support beams. A sump pump may also be utilized. Other than the risks of mold growth, the interior air quality of the home is better when the crawlspace is dry. SERVPRO of Clovis is faster to any size disaster! SERVPRO of Clovis is always ready when a disaster strikes. Whether your roof has a leak from the torrential downfall of rain or severe storms come through and destroy your business. Our company is continually growing so we can better assist you in your time of need. This was the aftermath of a washer overflow in a Clovis home when we arrived on the scene. There was 2 inches of standing water in the kitchen, dining room, and living room. The owner couldn't believe how quick we were able to clean and dry her floors. We make floods look "Like it never even happened."